Several months ago I was nominated for the MAD Blog Awards. I was delighted, amazed, shocked and stunned when I discovered I was a finalist in the Most Inspiring Category. It's wonderful to get some recognition for my blog, which is a labour of love. I don't earn money through it, I don't really do product reviews, I just share my thoughts, feelings and information with my readers. I have got a lot, personally, out of blogging, and getting feedback that I've helped others keeps me going. So as the awards ceremony has drawn closer I have found that I am nominated alongside some truly amazing bloggers and mums (and dads). It's a vibrant, opinionated and caring community that I am part of, and I am really proud to be a blogger. One of the perks of the awards is that you get dressed! I attending a fabulous event at TKMaxx in London. Together with a group of lovely mummy bloggers, we had the run of the store, we were like teenagers again, and it was fab. I think the most wonderful thing about shopping with others is it pushes you outside your comfort zone, you try things you possible wouldn't otherwise. The outfit I have chosen is nothing like I usually wear, and I'm not 100% sure I can walk in the rather fabulous shoes, however will give them a go. I must admit to putting emergency shoes in my bag. I have to say, I think you either a TKMaxx shopper or you are not, but you can most easily be converted if you fall into the latter category. TKMaxx has some amazing labels. Simply amazing. It has the latest trends, not just in clothing, but I have found, in my time some amazing homewares, such as my simply wonderful knife set that I have had for 5 years and is still going strong. 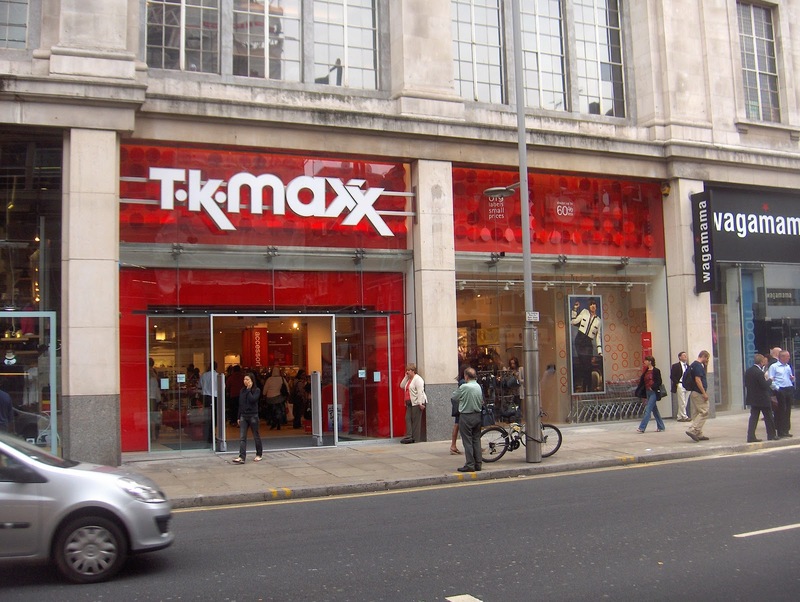 I think the best way to shop at TKMaxx is either in a hurry, run in on impulse and see what catches your eye, or devote an hour or so, go relaxed, and with an open mind. I will say that you MUST try on. Sizes vary as the pieces are coming from different designers and from all over the world. A lot of the sizes are European or US and you may get a pleasant surprise in terms of what fits you. I would also say, get to know your stores. The stores vary a lot in their content. I found the branch we went to was amazing, very high end, beautiful pieces, but obviously selected for the clientele that frequents it. There wasn't a huge selection in my size, what there was, was however, fabulous. In my local store, Bury, they stock all sorts of amazing things, but have a massive, dedicated plus size section. Whenever I need something, either for Joseph, Corey, my home, or myself, I always try TKMaxx first. I recently got a gorgeous shirt for Joseph for a wedding we attended, at the fraction of what it should have cost. In these budget concious times, TKMaxx is an amazing resource, and I know of nothing like it in Australia, where I'm from originally. For your next outfit, or even you next knife set or dinner service, give it a try. The ceremony is tonight and I can't wait to let you know all the goss. And how I got on! In my heels!